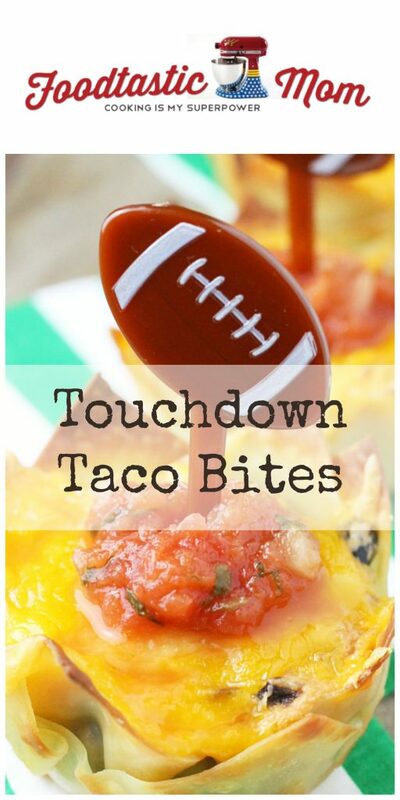 You’ll score big with my Touchdown Veggie Taco Bites – crispy wonton wrappers filled with black beans, corn, cheese and topped with plenty of Fresh Cravings Salsa! 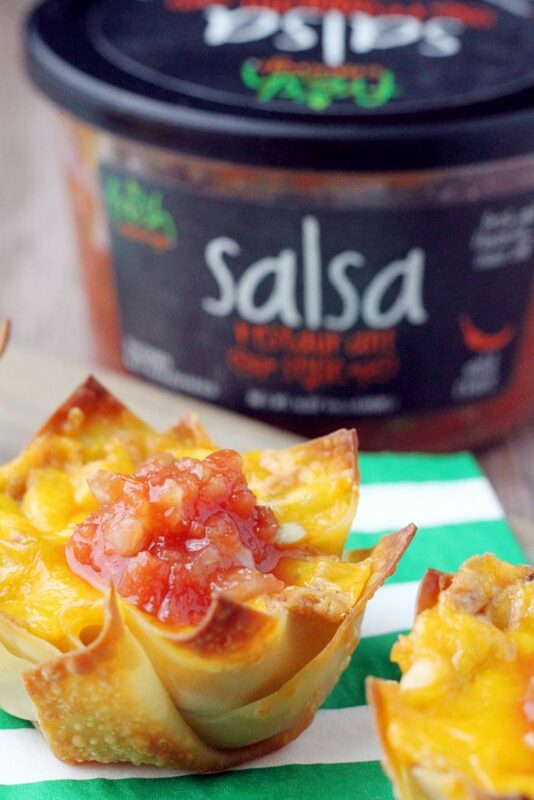 For more recipe inspiration be sure and give Fresh Cravings Salsa a “Like” on their Facebook page HERE. I wasn’t sure what to name this recipe. So I settled on Touchdown Veggie Taco Bites. 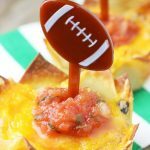 They are perfect for football viewing (especially with the Super Bowl just a few weeks away) because they are actually meant to be eaten at room temperature. So they can sit out for the whole game ready to eat when you are. The “cups” are actually wonton wrappers. I got the idea from HERE. They are a revelation! Flour tortillas are thick and wouldn’t get crispy. These are delicate enough to bake up crunchy but sturdy enough to hold all the delicious filling. 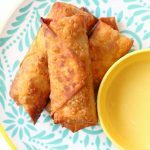 To really let the bright and zesty flavor of the FRESH CRAVINGS SALSA shine through I decided to make these taco bites vegetarian. Not ALL football fans are meatheads. 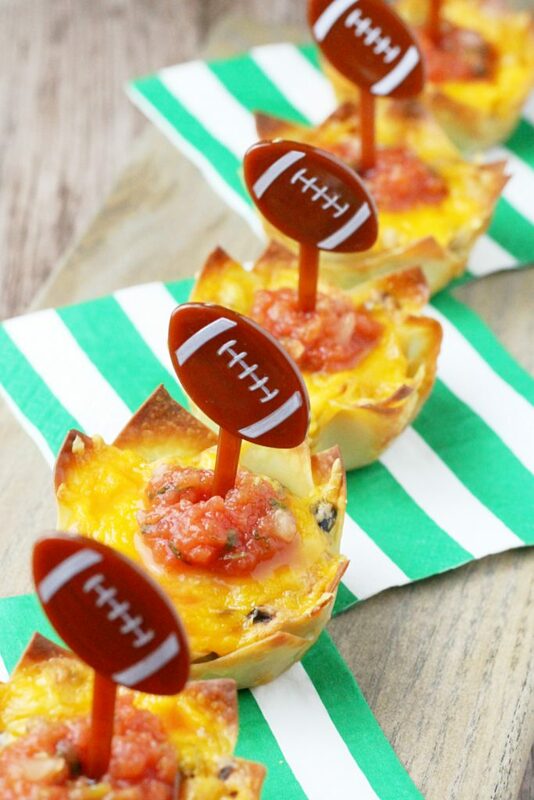 But meat-lovers will love these too! 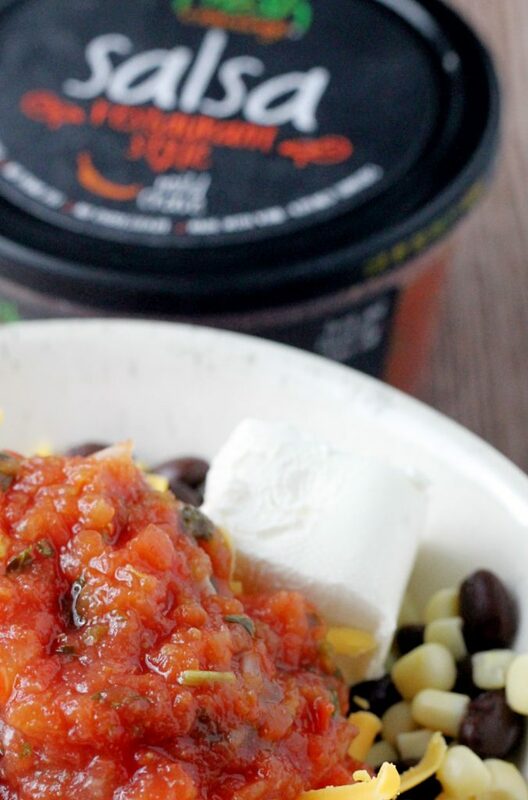 Black beans, corn, cheddar and cream cheeses are seasoned and provide the perfect vehicle for the salsa topping. 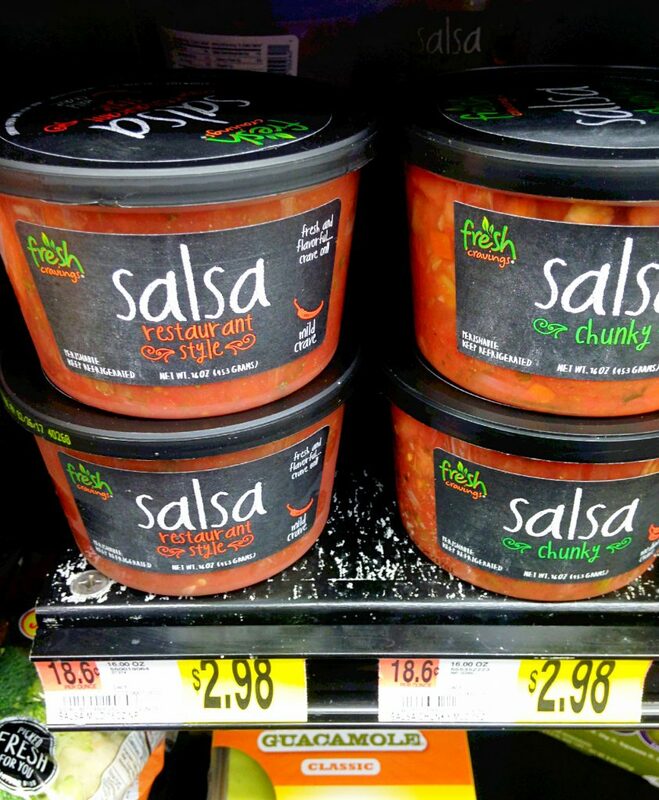 It’s like chips and salsa got a major upgrade. 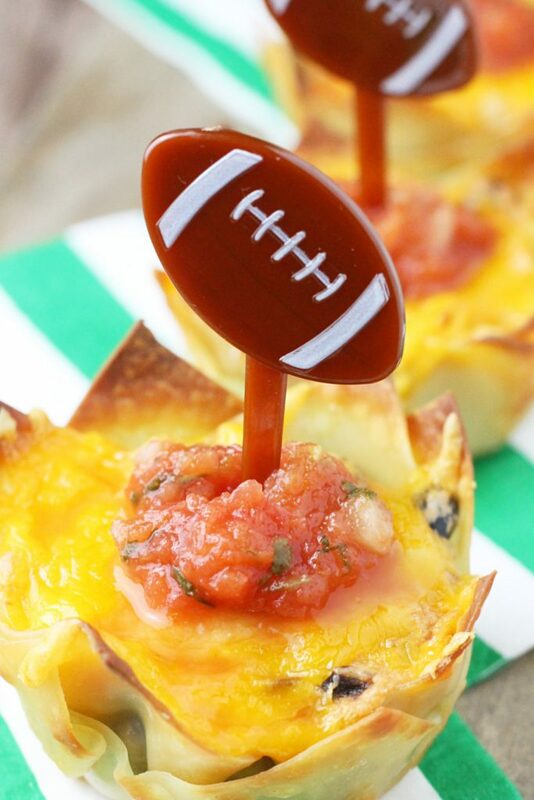 These taco veggie cups will score you a “touchdown” with all your guests. 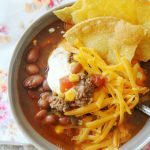 I tested the recipe twice and my kids and husband gobbled them up both times. As always thank you for supporting the brands who make my blog possible. This recipe is sponsored by Mirum Shopper. All opinions are mine alone. Spray two 12-cup muffin tins with cooking spray. 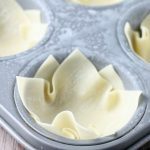 Line each muffin cup with two wonton wrappers so the corners make a plus sign. Press down gently so the wrappers line each muffin cup snuggly. 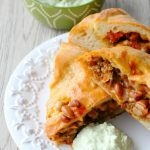 With a hand or stand mixer beat together the cream cheese, beans, corn, one cup of the shredded sharp cheddar cheese, Worcestershire sauce, smoked paprika and salt. 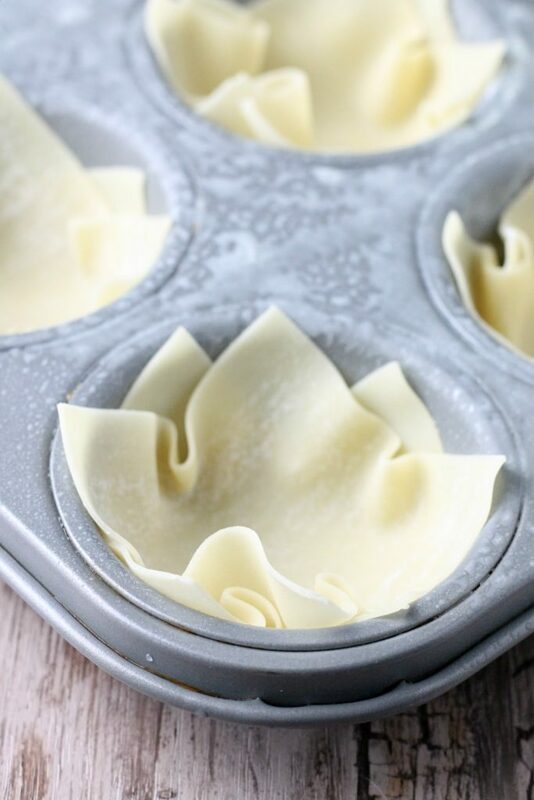 Scoop a heaping tablespoon of the filling into each wonton wrapper lined muffin cup. Evenly top each filled cup with the remaining shredded cheddar cheese. Bake the cups for 13 - 15 minutes, rotating the pans halfway through cooking time, until the taco cup edges are well-browned. Allow the cups to cool in the muffin tins. 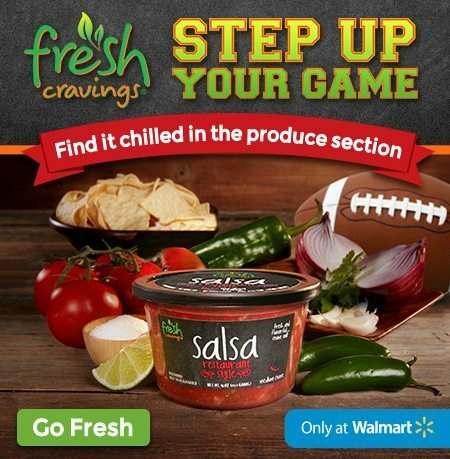 Top each Touchdown Taco Cup with a spoonful of the Fresh Cravings Restaurant Style Salsa and serve.